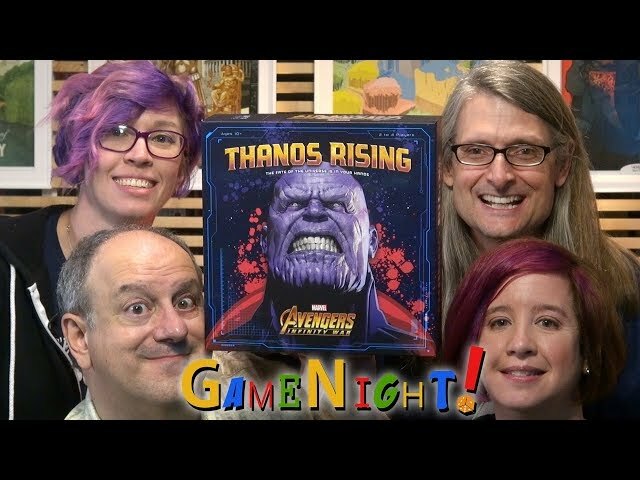 Assemble your team and face off against the greatest threat the Marvel universe has ever known in Thanos Rising - a co-operative dice and card game. Play as Gamora, Doctor Strange, Captain America, Black Panther and other icons from the Marvel Cinematic Universe as you prevent Thanos from collecting all six Infinity Stones and wreak havoc on the very fabric of reality. Build on the strengths of your team's characters and those of the other players - work together to stop Thanos from accomplishing his ultimate goal. Buy Thanos Rising for an iconic co-operative experience in the Marvel universe!